Hey party people! Even though the Minnie Mouse birthday party for my little girl was back in May, I thought I’d share some of my favorite party fonts that I used to create the party food labels, invitations, and other Minnie Mouse decorations. All of these fonts are free to download and can be easily installed to your computer. And who doesn’t love FREE stuff?! And all of these fonts are perfect for any little girl’s party! 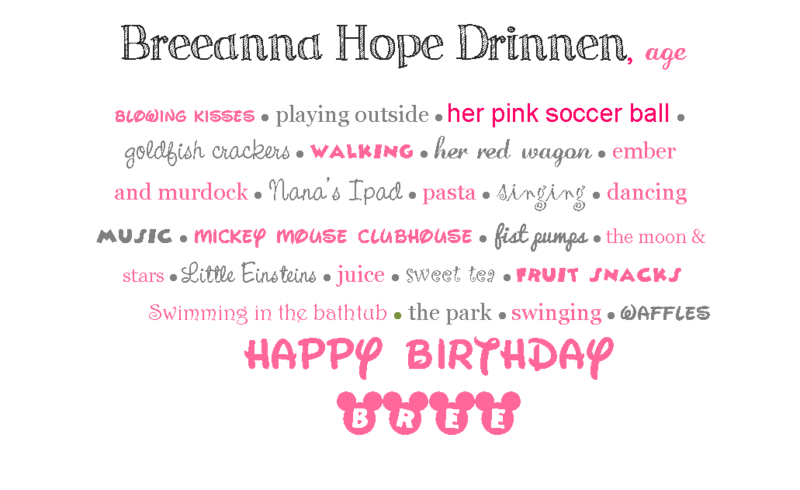 I used all of these fonts to create a framed print of Bree’s favorite things when she turned two years old. This is more for a memento for us to look back on when she grows up. Just click on the links below to take you to the download site of the fonts. 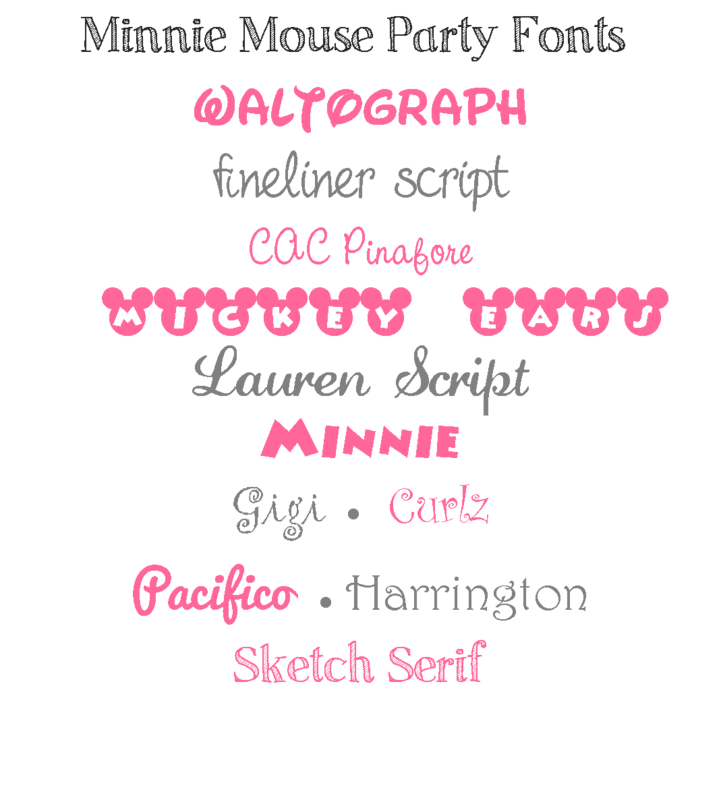 Hope you enjoy these free Minnie Mouse party fonts! If you want to see more of our Minnie Mouse Birthday party, just click here! 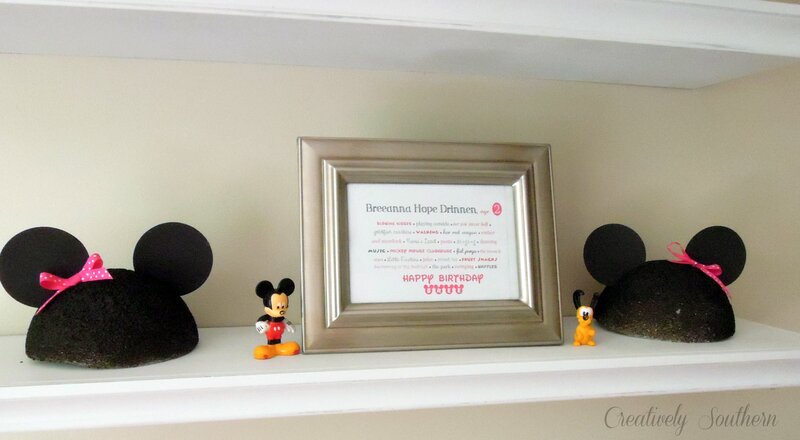 Anyone else planning a Minnie Mouse party?? Hi Jessica! I went to the website and found the following information about using the fonts on a Mac Operating System. Does this help with your MacBook? ?